Like a lot of artists, I keep returning to favorite subjects and themes. 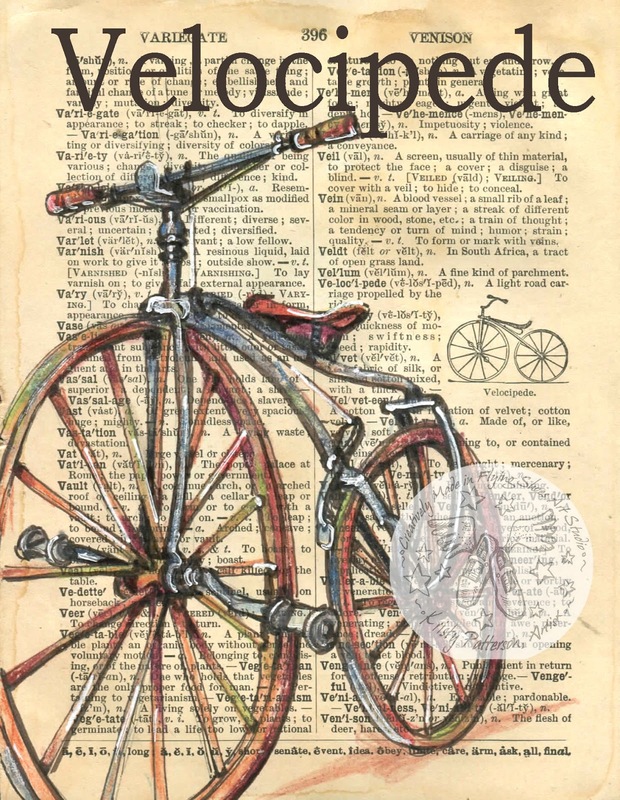 I love the history, nostalgia and aesthetic of a bicycle. 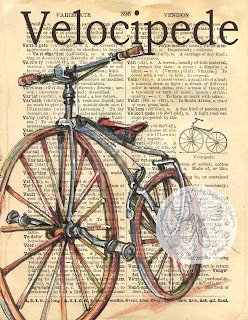 Years ago I first drew an old bike in an 1800's edition of a dictionary and the elegant definition described it as "a velocipede propelled by treadles." I loved that - still do. I had to do another bicycle drawing but this time decided to do a bike with the distinct, different sizes of wheels that matched those often used in the 1800's.